The President of the Biennale di Venezia, Paolo Baratta, accompanied by the Director of the 13th International Architecture Exhibition, David Chipperfield, met today at Ca’ Giustinian with the representatives of the 41 Countries participating in the 13th Exhibition, which will take place from 29 August to 25 November 2012 at the Giardini and at the Arsenale (Preview on 27 and 28 August 2012) and in various other venues in Venice. The meeting was attended for the first time by the representatives of Kosovo, Kuwait and Peru. The title chosen by David Chipperfield for the 13th International Architecture Exhibition is: Common Ground. “I want this Biennale to celebrate a vital, interconnected architectural culture, and pose questions about the intellectual and physical territories that it shares. In the methods of selection of participants, my Biennale will encourage the collaboration and dialogue that I believe is at the heart of architecture, and the title will also serve as a metaphor for architecture's field of activity. I am interested in the things that architects share in common, from the conditions of the practice of architecture to the influences, collaborations, histories and affinities that frame and contextualise our work. 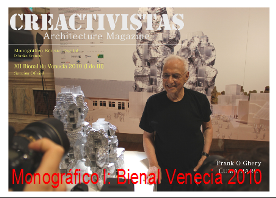 I want to take the opportunity of the Biennale to reinforce our understanding of architectural culture, and to emphasise the philosophical and practical continuities that define it. The title ‘Common Ground’ also has a strong connotation of the ground between buildings, the spaces of the city. I want projects in the Biennale to look seriously at the meanings of the spaces made by buildings: the political, social, and public realms of which architecture is a part. I do not want to lose the subject of architecture in a morass of sociological, psychological or artistic speculation, but to try to develop the understanding of the distinct contribution that architecture can make in defining the common ground of the city. This theme is a deliberate act of resistance towards the image of architecture propagated in much of today's media of projects springing fully formed from the minds of individual talents. I wish to promote the fact that architecture is internally connected, intellectually and practically, sharing common concerns, influences and intentions. My method of selecting architects will reinforce the theme by making collaboration and dialogue fundamental to the Biennale. We will invite contributors to make a proposals for exhibits or installations but also ask them to propose others they want to collaborate with. In this way, the initial selection by the curatorial team is complemented by a further series of relationships initiated by selected architects. The proposed dialogues will hopefully cross boundaries of age, style, geography and discipline. They also might identify the critical roles of other parts of architectural culture: the media, research institutions, schools, publishers, galleries, foundations and so on. The results, I hope, will use every available medium to tell stories about the common ground of the profession, and of the city. 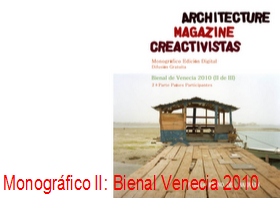 The 13th International Architecture Exhibition of the Biennale di Venezia will also present, as is traditional, the National Participations with their own exhibitions in the Pavilions at the Giardini and at the Arsenale, and in the historic city centre of Venice. This edition will also include selected Collateral Events, presented by international entities and institutions, which will present their exhibitions and initiatives in Venice concurrently with the 13th Exhibition.